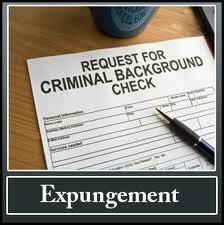 Not everyone is able to obtain an expungement. The granting of an expungement is based upon legal eligibility and NOT need based, meaning the fact that you cannot obtain a job, cannot obtain an apartment, or the record is somehow holding you back does not matter. While a judge may feel bad that a prior record is preventing a person from getting a job and supporting a family, the judge is not permitted by law to grant an expungement unless the person is legally eligible. Am I Eligible to Seek Expungement? Step one in the expungement process is to determine whether or not a person is legally eligible, meaning does the law allow for an expungement in this situation. For example, a person cannot expunge a felony conviction in Pennsylvania. With regard to misdemeanor convictions, there is one, very limited exception that allows for a misdemeanor conviction to be expunged if the person has been dead for 3 years or is over 70. 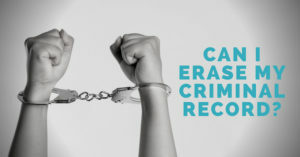 While expungement is not generally available a for a misdemeanor conviction, people may be able to seek an Order for Limited Access for some misdemeanor convictions. The primary expungement law that sets forth the eligibility requirements is 18 Pa.C.S. 9122. If a person is eligible to seek an expungement, the person must file an expungement petition in the county in which the charges were filed, and the petition must be filed in accordance with the Rules of Criminal Procedure. The Rules set forth certain things that must be included in the expungement petition and certain documents that must be attached to the petition. The Rules apply and must be followed by everyone, both lawyers and non-lawyers. While the expungement process is not overly difficult for an experienced criminal defense attorney, many people try to handle expungements on their own. Some people get it right, many do not. The ones that do not often find out the hard way when the record still appears on a future background search. Providing legal representation and work is a service, just like a mechanic. Do you change the brakes on your car and hope that you got it right? Do you want to file your own expungement and hope that you got it right, or do you hire someone to take care of it so that you know that it is done right? Determining eligibility is normally only step one in the process. The law generally does not give a person an entitlement to an expungement. Just because a charge was dismissed or withdrawn does not automatically mean that the court MUST expunge the charge or case. If a prosecutor believes that a person is not legally eligible, then the prosecutor will oppose the request, and the eligibility decision is made by a judge. Even if the person is legally eligible for an expungement, the prosecutor may or may not still oppose the request. If the district attorney does not oppose the expungement request, the expunge ment is often granted by the judge without having an evidentiary hearing. A hearing may still be scheduled, but no evidence may be presented because the prosecutor is not opposed. Evidentiary hearings are generally only held when the prosecutor does oppose, in which case the judge will need additional evidence to consider in determining whether or not to grant the expungement. The judge is required to consider Wexler factors, which are factors that were discussed by the Pennsylvania Supreme Court in the Wexler case. Those factors include the strength of the Commonwealth’s case against the petitioner, the reasons the Commonwealth gives for wishing to retain the records, the petitioner’s age, criminal record, and employment history, the length of time that has elapsed between the arrest and the petition to expunge, and the specific adverse consequences the petitioner may endure should expunction be denied. After an evidentiary hearing, the judge will review the evidence that was presented in light of the Wexler factors, and the judge will then decide whether or not the expungement request should be granted. While the expungement law is uniform across Pennsylvania, the application or administration of that law varies from county to county. This means that the expungement process is often different from county to county. Some counties automatically schedule hearings, whereas other do not. Some counties require the client to appear, other do not. Some counties require the expungement to be reviewed by the prosecutor before filing, other have the district attorney review the petition post-filing. To obtain the best representation, a person should contact a defense attorney that has expungement experience in the county in which the expungement must be filed. For an attorney referral, you can contact JD Law and seek contact information for an attorney in the county in which you need an expungement to be filed.